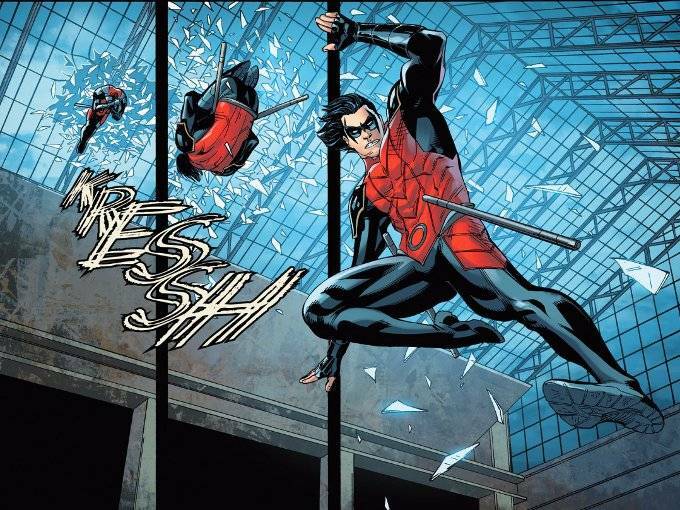 Damian Wayne tracks several of Gotham's Most Wanted to the nearby city of Bludhaven. Never one to ask for help, Robin quickly winds up in over his head. Luckily, Damian has more friends than he knows and an unseen presence is looking out for him. 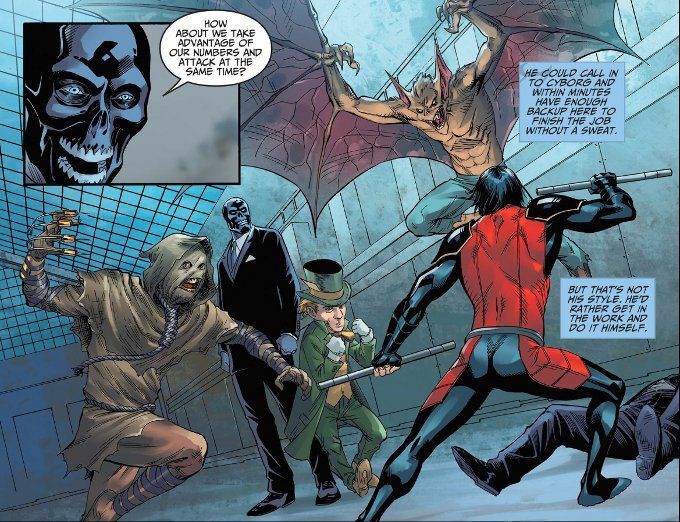 Mike S, Miller is back in fine form in this week's issue of Injustice. The action of this issue is wonderfully illustrated. And the colors by J. Nanjan prove perfectly chosen. It is Brian Buccellato's story, however, that proves the real prize. I've never been a big fan of Damian Wayne but he actually seems sympathetic in this issue. And the scene at the end with Superman and Damian bonding is rather sweet even ignoring the horrific implications of just how far both of them have fallen.